Naxos Festival takes place since 2001 at Mpazeos Tower, an outstanding monument of 17th century that became a “temple” of art and culture. On the occasion of the cultural events, the Tower stays open and hospitable for the local community and foreign visitors, unlike the rest (about 40) towers of Naxos which are closed. 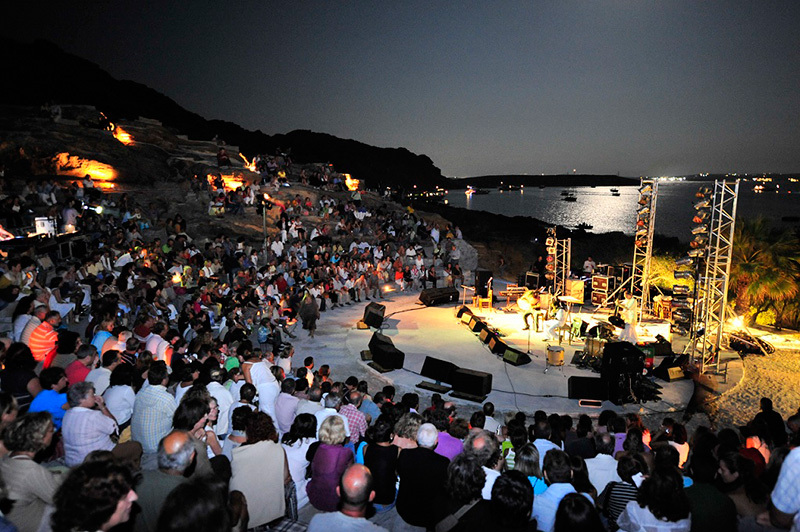 Each summer, Naxos Festival, presents every kind of performing art through thematic exhibitions: theater, music, films. International artists meet every summer in Naxos, presenting contemporary aesthetic trends! So Naxos becomes an intercultural meeting place and is highlighted as the ideal holiday island, providing refreshing cultural air. Check out the best holiday villas in Naxos. Since 2009, in Paros, is organized the “Park Festival”, one of the top Cyclades Festivals. It is a Festival of cultural, sporting and environmental events. The Festival lasts from June to September and hosts at least twenty high-level events in the outdoor amphitheater Archilochus, the outdoor cinema Cine Enastron, and in the Park area. The main infrastructure of the “Park Festival” is the outdoor amphitheater Archilochus, a summer theater of 700 seats. The theater, with excellent acoustics and the aura of an ancient theater, offers excellent views of the bay of Naoussa and moonrise. Visitors have the opportunity to relax and to let themselves in the sounds and images of the events taking place. 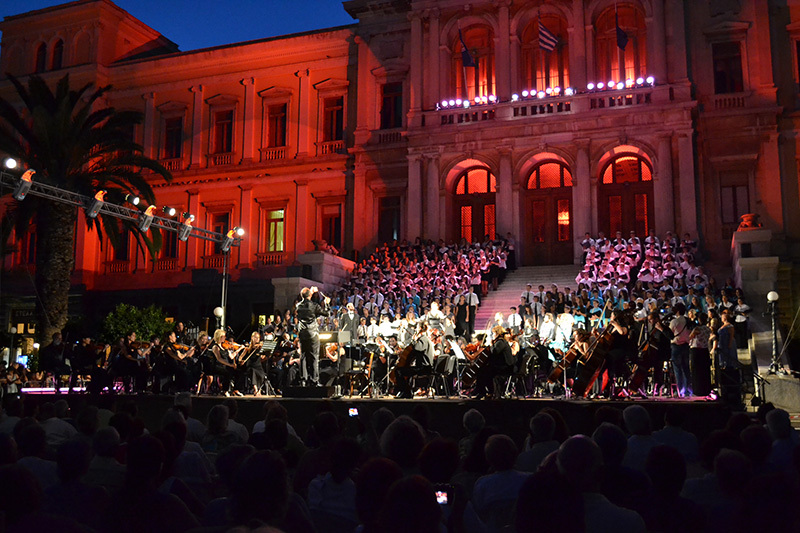 The Festival provides entertainment through a wide range of artistic Greek foreign groups, playing modern and classical music and displaying theatrical performances. Take a look at our collection of holiday villas in Paros. The Aegean Festival takes place in July in the theater “Apollo” of Syros, one of the first theaters of Greece. It was built in 1864 and according to the standards of La Scala of Milano. The vents of the festival also take place in other public places of the city: the impressive “Miaoulis Square” and the church of St. Nicholas in the district “Vaporia”. 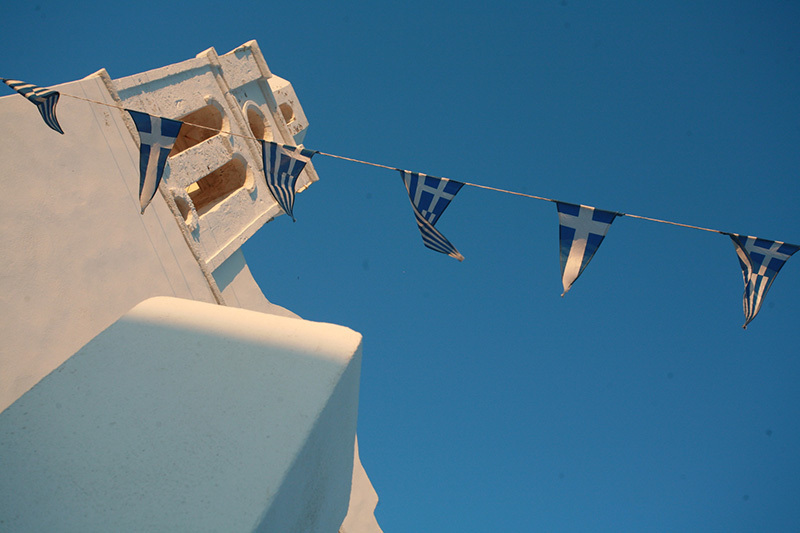 It is one of the most popular Cyclades Festivals in Greece. The time has come for the 5th Up Festival which, this year, lasts for more than three days! Celebrations start from Tuesday 12th of July, while the grand -UP- finale is set for Sunday, July 17th. The Festival will take place in the beach of Aegiali on Amorgos and more specifically, in the Municipal parking and “Ammos” beach bar. During the three days of the festival will get on the stage some of the most important artists of domestic alternative music, with new groups who have really impressed the public. After the live performances, the djs take over your entertainment and the “after parties” last until the first morning hours. Keep in mind that the Ammos Beach Bar, which hosts the festival, from 13 to 17 July, will be open from early in the morning offering strong coffee, until it’s time for the first party of the day. It will be open until the dj sets end, late at night. At the site of the festival there will be two bars from which you can buy, among other things, the Up Cocktail. This year, there will also be offered enough food for all visitors, for free. 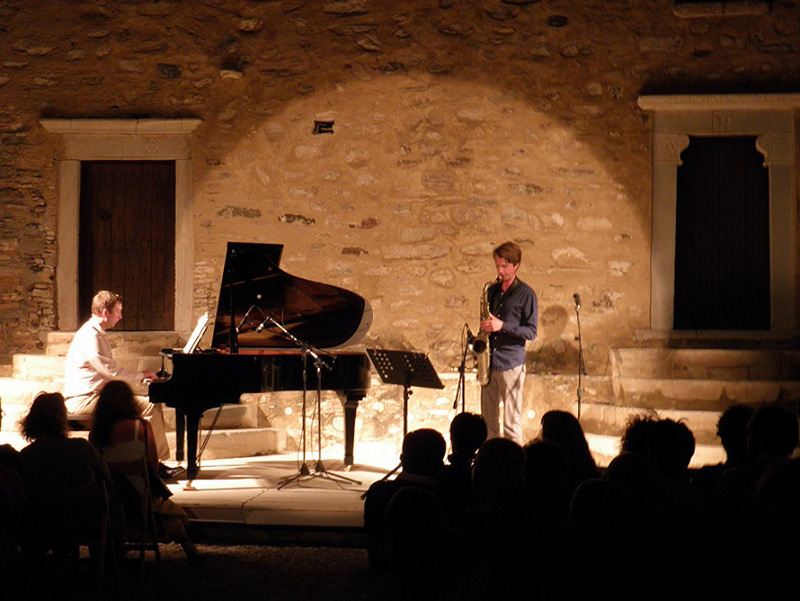 A new theater, a new International Festival: two major events this summer in Andros. Andros, identified as an island of the international art scene, enters the summer cultural map of the country. Thanks to a new theater of 900 seats, “nested” in the heart of the traditional settlement of the island, International Andros Festival will offer you unique experiences: performances of ancient drama and concerts by important Greek singers, along with presentations by distinguished artists from Andros and local groups. This new cultural institution is headed by the awarded Greek director Pantelis Voulgaris. Check out our holiday villas in Andros and book your accommodation now! Many surprises await those who find themselves in this year’s Potato Festival. This year, it will be held on July 16th and, as every year, will be signed by the Union of Agricultural Cooperatives of Naxos. The Festival’s goal is twofold: first, the promotion of Naxos potato, the most popular product of the island. Secondly, the increase of the tourists’ arrivals on the island. The best Greek chefs will create various recipes, with the potato to be the main ingredient. Also, there will be 36 stands with potato recipes, prepared by the popular chef, Stelios Korres. 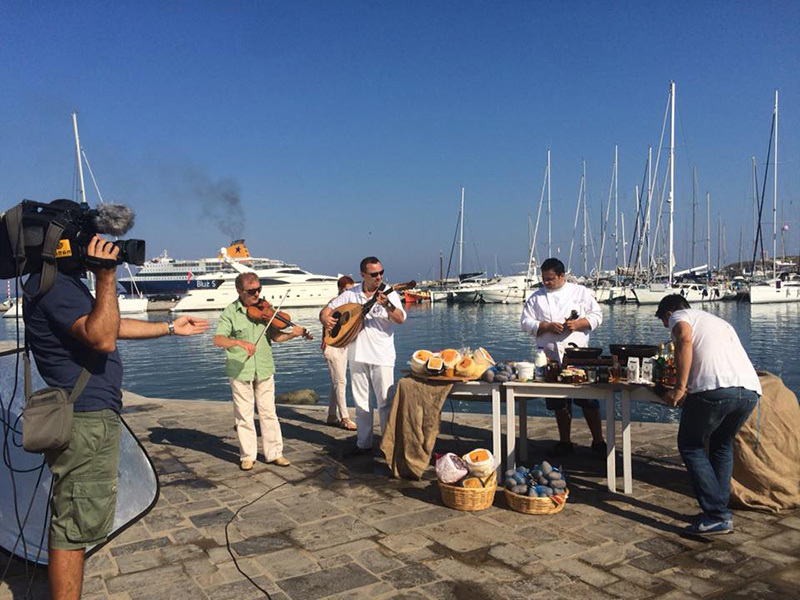 Stelios Korres represents also the Chefs Club of Cyclades and Dodecanese, in Naxos. The SIFestival, deriving from the words “Sifnos” and “Festival”, is a celebration of the arts that takes place during the summer in the beautiful island of Sifnos. The SIFestival celebrates the artistic creation in different forms: film, music, photography and literature. 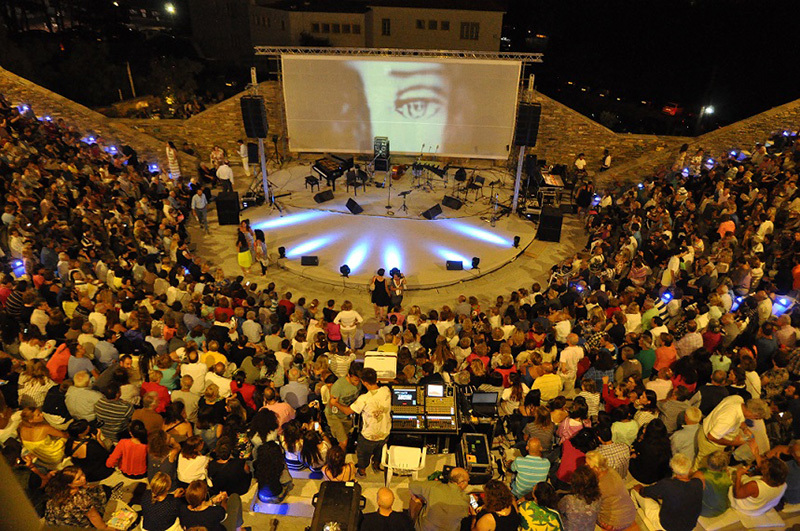 The Festival of this year will include evening screenings of short and animated films, night documentary screenings, a piano concert, a photo exhibition and live readings that are organized in different parts of the island. SIFestival receives the friendly support of the cultural center of the island and other local structures, such as café “Veranda”, which, this year, will host the festival exhibition. Take at look at holiday villas around Sifnos! 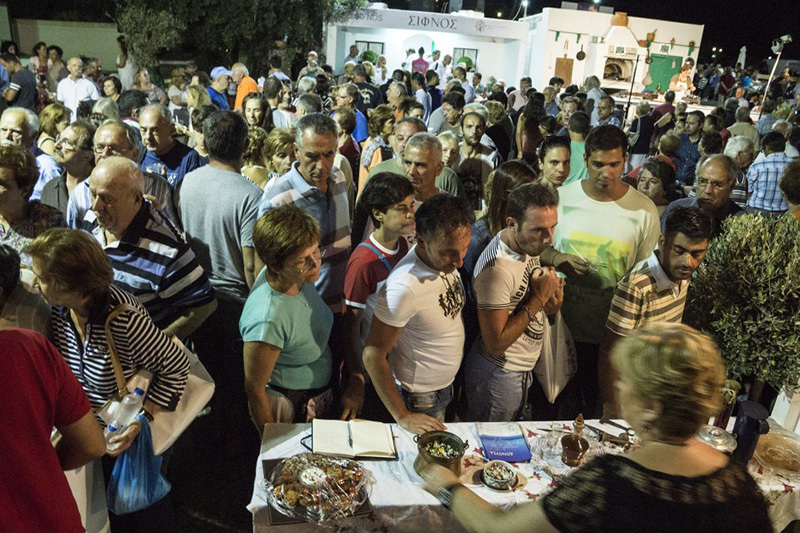 We would say that it is one of the most “tasty” Cyclades Festivals! Delegations from the islands of Cyclades, meet in Sifnos and present their special culinary and cultural tradition. Each island has its own pavilion in the central square of Artemonas, where amateurs, along with cooks and professional chefs, prepare and present Greek recipes of their place. Those flavors, guests have the ability to taste those flavors at the pavilion of each island. In a corner of the square, you will see children between 6-12 years old, dressed in gowns and colorful culinary caps, participating in cooking games and competitions. The Festival opens its doors to the public every day at 18.00. At the end of each day, at 21.30, you may attend musical events, presenting traditional rhythms of Sifnos and other islands. Admission to the Festival, as well as food tasting, are free. Of course, there are more Cyclades Festivals held in summer 2016. No matter which of them you will attend, they are certainly one of the good reasons for spending your holidays in Cyclades this year. Previous Previous post: Experience Tinos Holidays In Greece!